“Boy! 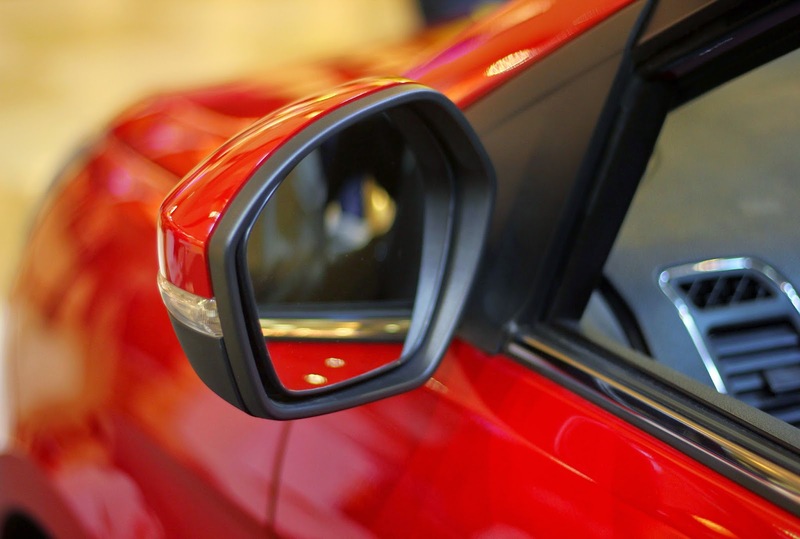 Oh Boy”- I literally had to shove ‘them’ aside as I struggled to barge in; it was quite a ‘combat’ this….the “red riding hood” in the world of automobiles had already made a remarkable entry it seems. Ah! 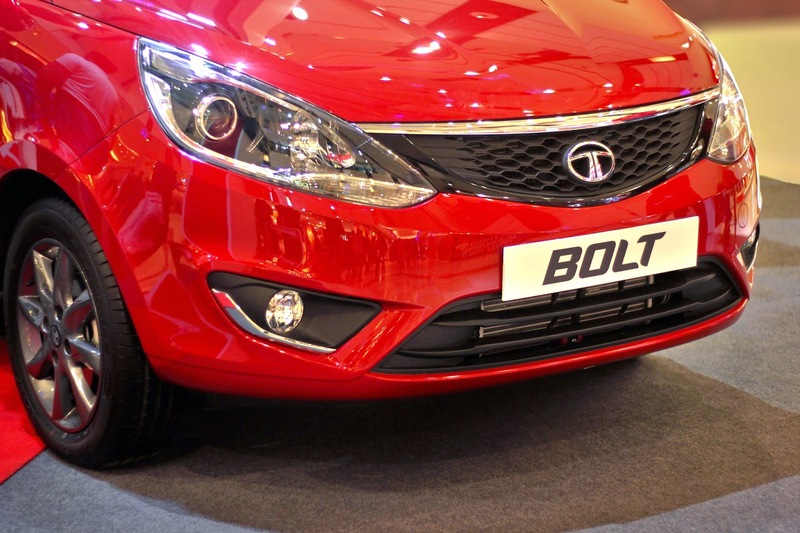 I’m not good at ‘building suspense” and for obvious reasons I won’t make an attempt either- yes I’m talking about the all new stunning Tata Bolt that has made its presence felt even before the official ingress; it sure promises to be a sparking debut. Even when I’m tempted to use a metaphor, it goes without saying that I, in effect, turned out to be as rhapsodic as the group of aficionado’s who had flocked in from different parts of the city with a common agenda- to grab a first-hand view of the brand new Tata Bolt even before it released in the market. “Mind-blowing” is the word because I overheard the (Avani Riverside Mall, Howrah) mall-supervisors discussing that this was perhaps the biggest crowd they have witnessed in the last 6 months or so; that too, mostly concentrated at the ground floor. Staggering indeed! “Are there any Bollywood celebrities around?” – Haha, well that random little kid standing right beside, perfectly ‘divulged’ my state of mind…such was the glitz, such was the anticipation, as if something prodigious was about to be unveiled..! Honestly speaking, I would have never travelled so far from Calcutta, through the scuttling Dharmatala…traversing the second Hoogly Bridge, down to the Avani Mall had I not been a apart of elusive “Zest Up Your Life” experience at Goa, it did open the flood-gates for sure. 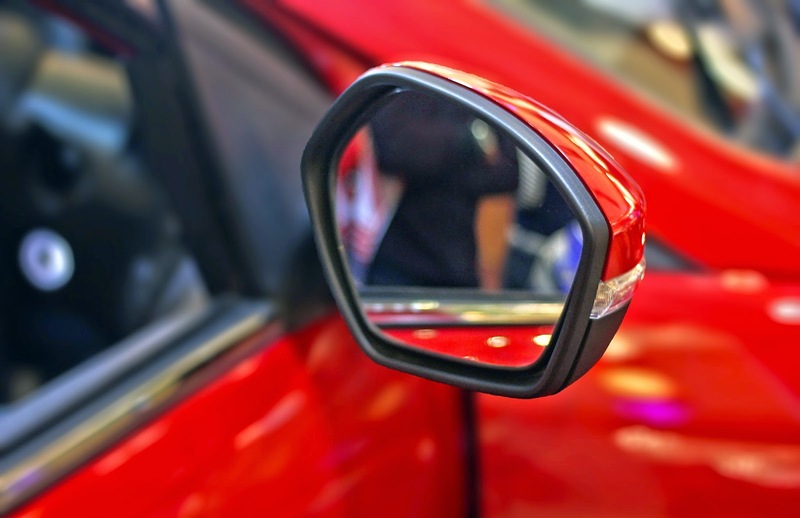 While we were cruising through the “Goan Greens” in our Zest, I did rediscover myself; I did realize that I had ‘a thing or two’ for cars…nothing fancy or extravagant though, the ones that are gratifying both in terms of price as well as ‘contentment factor’. It goes without saying that Tata Zest scored a whopping 9/10 in both the segments and its ‘level-led up rendition’ – the Tata Bolt promised to deliver a lot more. In-fact, my dad happened to read my ‘zesty’ review post and seemed to be extremely impressed with its all-round lineaments…I bet that he is already considering the prospect of booking our first family car by the end of this month. I remember the uncharacteristic trepidation in voice when he called me right after I posted the review on my blog, something was “cooking” was sure. He sincerely wanted to come with me for the “Bolt Preview Visit” but then his colleague’s untimely call held him up for a longer period than expected; he promised to join me in course….but I knew that’s not gonna happen. His eyes had lit at the very prospect of taking a test drive in the all new Bolt; it’s a completely new experience for him…not to be. “Why are you dressing up as if you are heading to party?”- Mom seemed to be quite bemused seeing my ‘illustrious’ garb. I was totally in the mood for sure. “I’m going to see THE Bolt mom, as in…’THE Bolt’! !”- I exclaimed, as I pulled out the army jacket from the closet; it was a cold, murky Sunday in Calcutta…perhaps not the best weather to go out for a photo-walk, but certainly a good setting for indoor shoots. 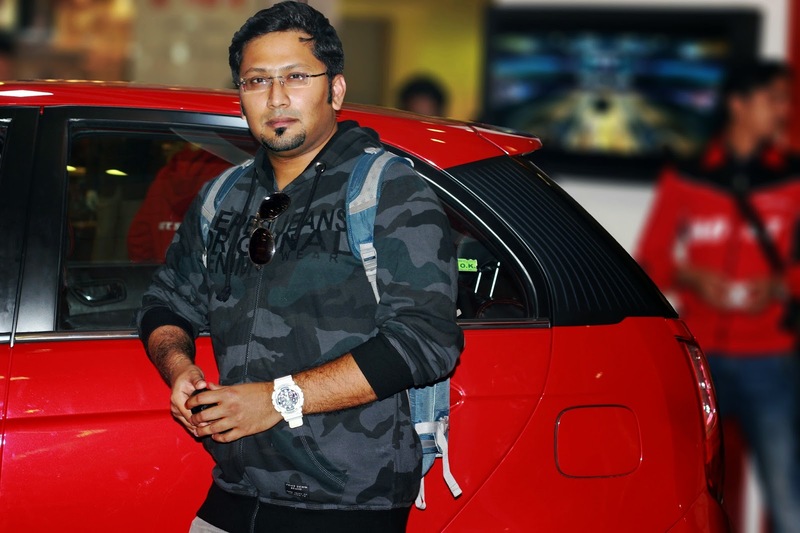 “Is this a variant of what you drive in Goa? Your dad seemed to be quite interested in that one…and are you going to write about this as well?”- Oh well! Mom is always on the money, she picks up clues so well. “Yep…exactly!! Wanna come along?”- I insisted. “Of course, if you promise to treat me with some chocolate cupcakes thereafter….”- She grinned-“And when did you start blogging about Cars and Automobiles?”- She knew that I've been a Food Blogger for the major part of my blogging tenure…it’s natural that such a digression made her curious. “Haha, get ready ASAP…you’ll know soon…”- I smirked. So the Bolt-expedition opened another gateway; I got an unexpected chance to spend an evening with mom...I'll be honest... it’s been quite a while since our last 'one-on-one-date'. Thanks Blogadda. The First Impression: “Oh my God, this looks so vibrant”- My trance broke as mom’s characteristic intonation reverberated across the over-crowded mall…yes, she is talented in a number of ways. LOL. The inner anatomy: “Looks brilliant in the overall perspective…and now, let’s zoom in”- I knew that mom had that photographic bend of mind; I was expecting this. And frankly speaking, she did hit the nail hard…it’s almost imperative that the “blistering start” should transpire into a “consolidation period”; it promised to be a tough examination for sure. 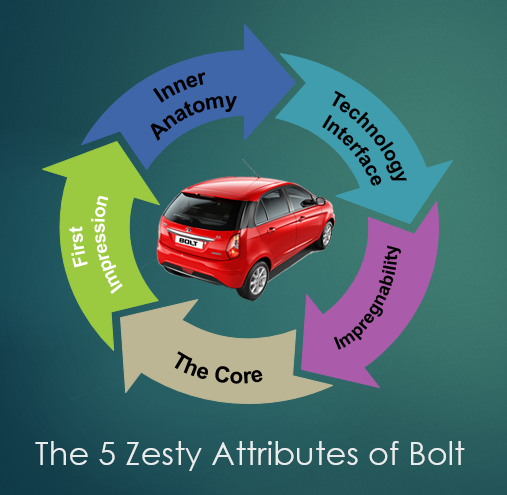 But again, the opening shot after the break was right out of the ‘middle of the blade’- if the Tata Zest is the perfect “Car on a road-trip”, then the Bolt can safely be termed as the “Holiday Specialist”; consider a boot space of more than 200 liters that could further be leveraged with the flexible seating contour…it's surely going to solve the issues related to “space-crunch” on a longish vacation. There’s a lovely parity between the judiciously designed outer half and it's extremely spacious inside, that is the perfect example of a 'new flanged creation'- it's like a technological-prophecy...the confident dynamism is a proclamation in real sense....!!! The Impregnability Factor: “How safe is it?”- Was the lingering question in our mind and it made a lot of sense because of the regular news of on-road-debacles; it isn’t safe enough to drive freely on the Indian roads unless and until if you that “virtual insurance” in mind…and that to some extent is the maker’s responsibility as well. We had to ‘extract’ that mode of assurance before passing a final verdict….and Tata, like always, had an answer. 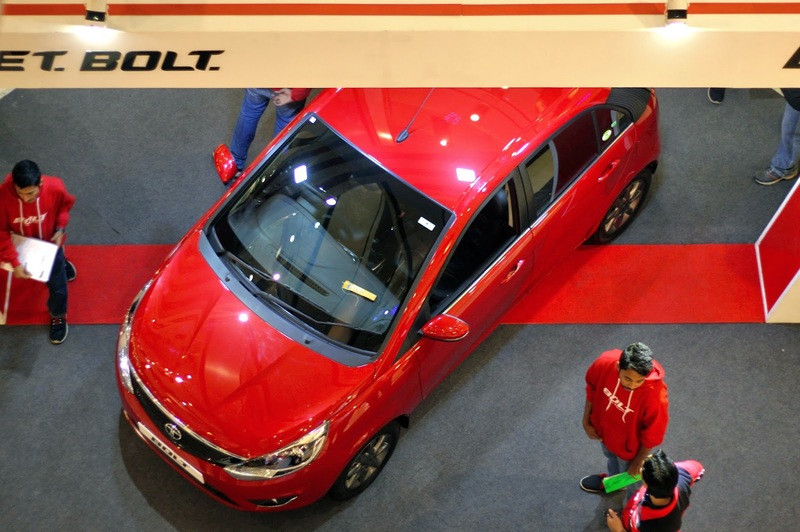 “Ma’am, the Bolt comes with a 9th Generation Anti-Lock Braking System that is specially designed by Bosch that maintains tr-active contact with the pitch when the driver brakes suddenly…it’s an advanced mode of preventing accidents due to drift or skid.”- The demonstrator sounded re-assuring with his response. Phew!!! “Hey!! Did you bring your driving license?”- Mom (yet again) broke my trance. DAMN!!! I should have been more careful with this one, the mere prospect of ‘seeing the Bolt’ was overpowering enough. I could have taken a test drive then and there itself…that could have completed the entire exercise. Not to be. “No worries, Sir…you can book a test drive directly by visiting our official website. At your service”- The demonstrator turned out to be a savior for sure. I wasn’t done yet, though. Question for my readers- Now that you have read through my experience, it's time to test your prediction skills. 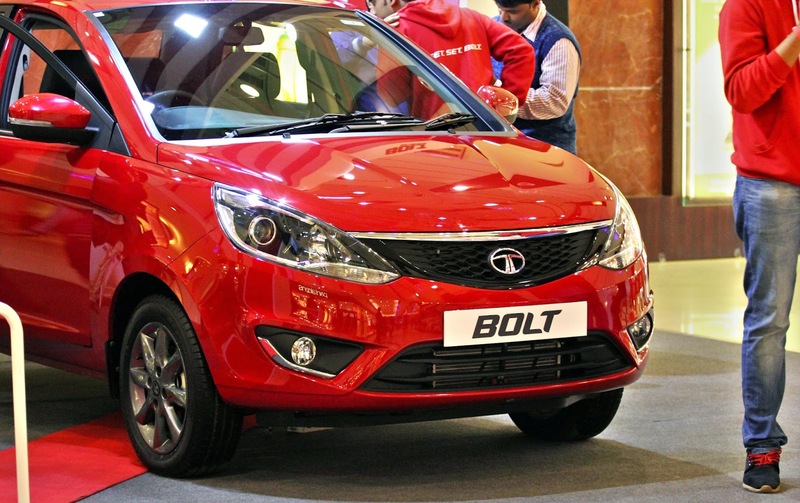 Predict the price of the all new Tata Bolt before it is official released in the market. Send in your guesses in the comments section folks! * This post is a part of the Get. Set. Bolt. activity at BlogAdda.